A simple twist sets the ball at the perfect "sweet spot" height. Patented min. contact resitance design. Achieve more consisten dirves. Conforms to USGA and R&A rules of golf (legal for professional use). Willing to discuss all options. Mentioned in Golf Week magazine. Praised by instructors. 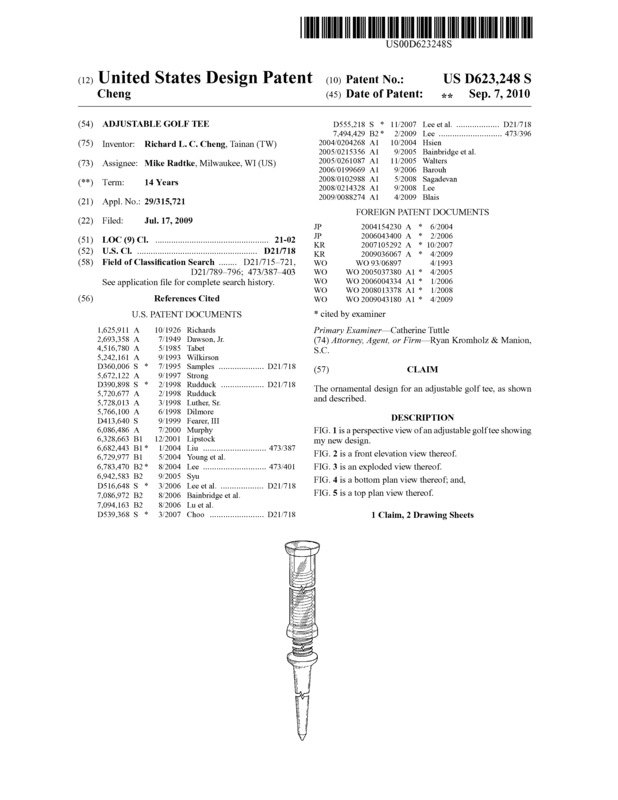 Page created at 2019-04-25 14:38:05, Patent Auction Time.